We have a new email address. From Monday 3rd December 2018 you will find us at info@arenacleaningservices.com Please update our details and add us to your address book. Thank you. 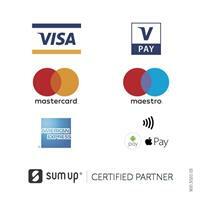 We also continue to thank our customers for their complimentary reviews Thank you. Another great review, thank you. Just one of the many busy pubs Arena Cleaning Services have cleaned over the summer, a combination of drinks, food and sand. Arena Cleaning Services are celebrating our Silver Anniversary, 25 years. Jackie and I would like to thank all our customers for their wonderful support, it really is a pleasure. Thank you. Does you carpet need cleaning, this one did after just 3 years of pets and children. 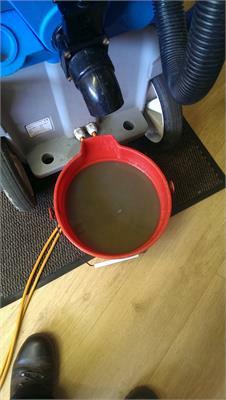 Here is the dirty water from our recovery tank following a deep carpet clean recently in North Walsham. We always vacuum carpets before we clean them to remove dry soil and dust but there is still more soil to be removed using our deep cleaning system. 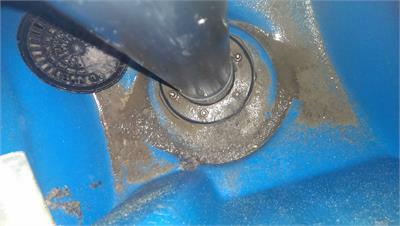 Its the grit and micro soil that wears out your carpets. We remove what vacuuming alone will leave behind. Jackie and I have just enjoyed a relaxing break in Venice for a few days we jumped straight back into work on Friday Carpet Cleaning in a tranquil spot in Weybourne, again for our good friends at The Norfolk Cottage Company, lovely property. Today we had wine stain treatment in Aldborough, and another happy customer. Very busy couple of days. 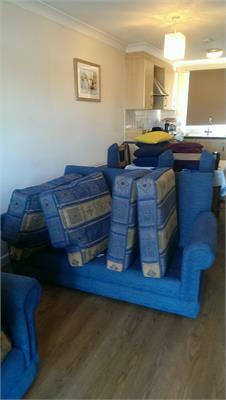 Tuesday we cleaned the carpets in a delightful holiday cottage in Holt, Norfolk. Our good friends at The Norfolk Cottage Company are always happy to help if you fancy a visit. 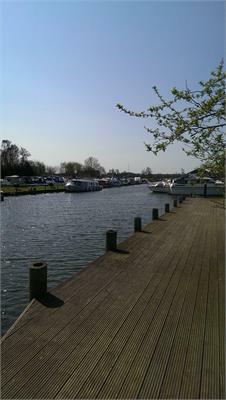 Upholstery cleaning today at the holiday village on the Norfolk Broads, on days like today there are not many places we would rather be. Enjoy the sunshine. 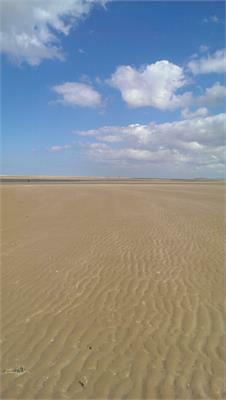 Out on the coast today and we decided to stop at Brancaster Beach. What a wonderful spot for a stroll. Holiday Cottage Carpet Cleaning today near Hunstanton, lovely cottage. 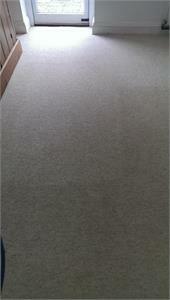 Picture sadly does not do it justice but this wool blend carpet cleaned very well. Congratulations to Norwich & Nottingham winning a joint bid to host global Cities of Literature gathering in 2019, fantastic news, well done. More Info. Please do not hesitate to contact us using our contact form or call our office on 01263 833424 or mobile 07876 497897.